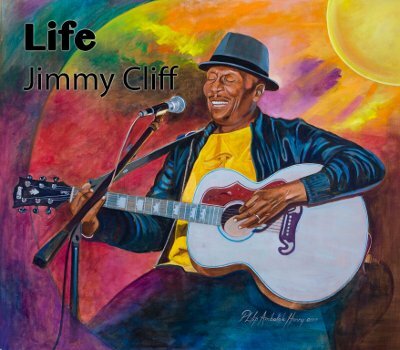 Home / -Watch- / Jimmy Cliff / Watch: The Video For Jimmy Cliff's Joyous "Life"
Watch: The Video For Jimmy Cliff's Joyous "Life"
This winter, Jimmy Cliff will release his new album Somerton and, on Wednesday (July 12), he released the video for the first single, Life. Written by Cliff the video was produced by Steven "Lenky" Marsden and Zojack World Wide and directed by Mike Abela. Shooting was done in Kingston, Jamaica. Cliff said "The lyrics and uplifting nature in the video mirror how I see the world. It's all about living in the present, the here and now, and acknowledging precious time here on earth." Jimmy Cliff was elected to the Rock and Roll Hall of Fame in 2010. He has been recording since his 1962 debut single, Hurricane Hatty and is known for such songs as Many Rivers to Cross (1969), Wonderful World, Beautiful People (1969 / #25), a cover of Cat Stevens' Wild World (1970 / #8 U.K.) and a cover of Johnny Nash's I Can See Clearly Now (1993 / #18).